BANGKOK, Sept 19 – Thai Transport Minister Jarupong Ruangsuwan has announced that Don Mueang Airport will officially be fully operational for budget airlines October 1. He said Airports of Thailand (AoT) and the Aeronautical Radio of Thailand (ART) have given assurances that their operational systems and personnel are completely ready for full-fledged business, accommodating 60 flights per hour or an average of 250 flights per day. Don Mueang will take at least 12 million passengers per year, he added. Thai AirAsia, the biggest low-cost airline in Thaland, will move its equipment to Don Mueang on Sept 30 midnight after its last flight takes off from Suvarnabhumi Airport. AoT president Anirut Thanomkulabutra said facilities at Don Mueang Airport including general and duty free shops will be fully operational on October 1. 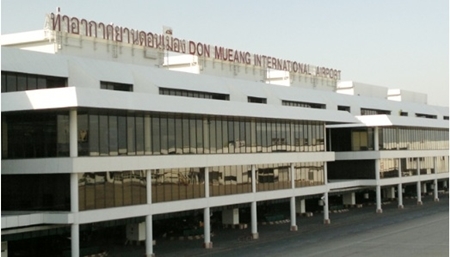 In addition to Thai AirAsia, Don Mueang Airport serves Nok Air, Orient Thai and chartered flights, he said, adding that Don Mueang will become another connecting hub for the region.